You’ve got a beautiful bedspread, and when your bed is newly made, it looks uh-maz-ing. But what about underneath? 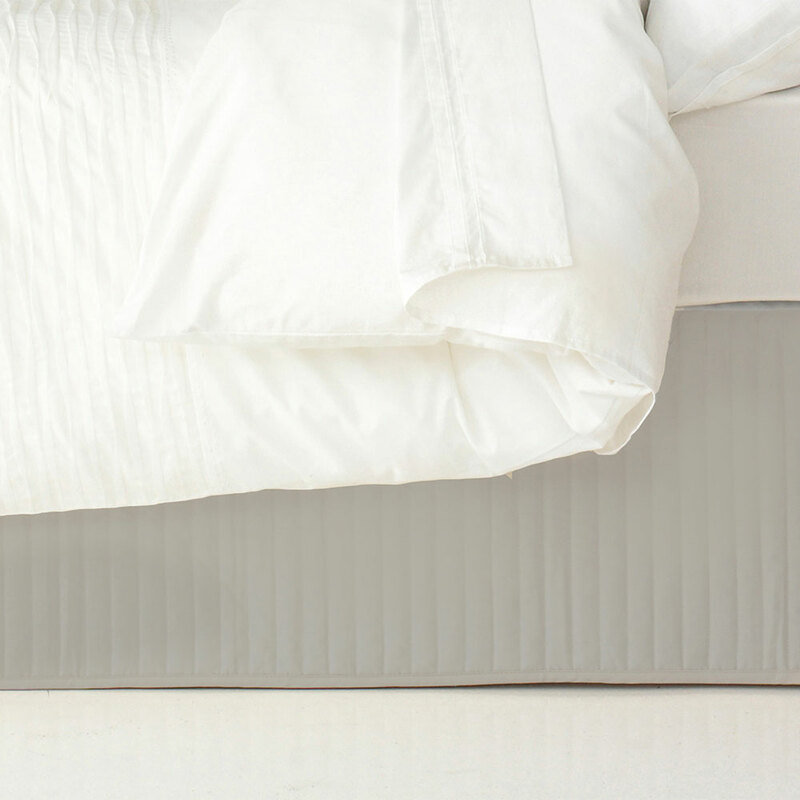 Don’t let what’s underneath your bed spoil your bedroom’s good looks! Ardor’s Quilted Valance is designed to cover up the base of your bed, so your bedroom looks like something from a décor magazine. Made from lightweight polyester, Ador’s Classic Valance is so luxuriously soft and opulent. Just fit it around the base of your bed, and it’ll cover up a multitude of sins. Unused exercise gear. Top secret documents. Those shoes your husband doesn’t know about. It doesn’t matter what’s under your bed – your bedroom will always look refined, with a little help from Ardor’s Classic Valance. Made from durable, quilted polyester, with polyester fill. Designed to tuck under the mattress and hang to the floor to hide the base of your bed.